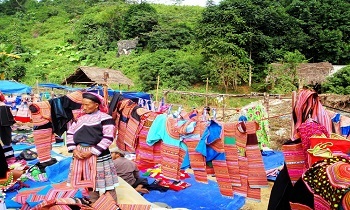 Coming to Cao Son market, visitors will have the opportunity to exchange, chat and learn more about the life of ethnic minorities living in the 4 largest villages of Muong Khuong district. 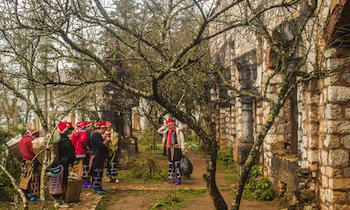 Sapa has a great diversity of ethnic minorities; the total population is 36,000 people that consist mostly of minority groups. Each ethnic group has a difference in dress, lifestyle, customs, and methods of cultivation together with the distinct cultural identity. 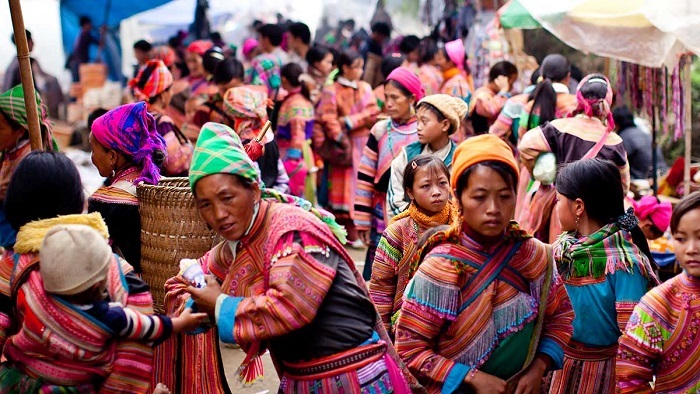 All these differences are shown in daily life activities, especially in markets: Bac Ha market, Cao Son market, Can Cau Market....To explore this diversity, you should join Sapa trekking tours Vietnam or Sapa tour 3 days 4 nights including markets in itinerary. 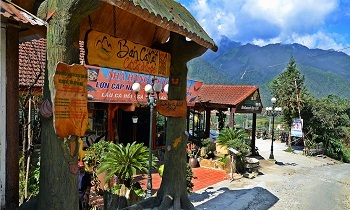 Cao Son Market is located in Cao Son commune, Muong Khuong district, Lao Cai province, about 80km from Lao Cai city. To go to Cao Son market, visitors can follow many routes. However, if you want to have the opportunity to cruise on the river and immerse yourself in the poetic and charming natural landscape, tourists can join the tour on the Chay river: Bao Nhai - Cao Son. 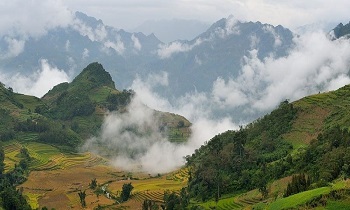 From Lao Cai city, along 4D highway, visitors will come to Phong Nien commune, Bao Thang district, Lao Cai province. 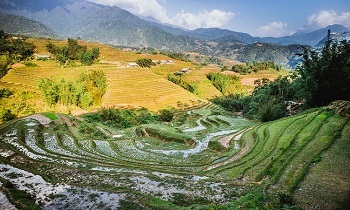 Continue to follow the provincial road 153, visitors will arrive at the boat station of Bao Nhai bridge, Bao Nhai commune, Bac Ha district, Lao Cai province. 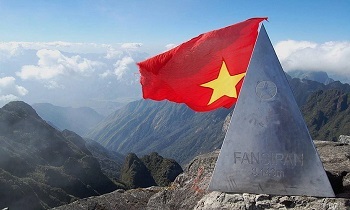 From here, up the Chay River to the north about 31km, visitors will come to Cao Son Market. 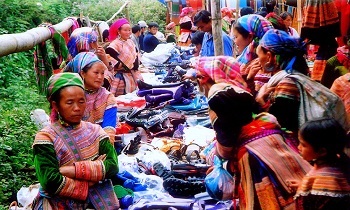 Cao Son Market is a market of ethnic minorities of Mong, Phu La, Dao and Han Den living in the 4 largest villages of Muong Khuong district. The market only meets one session on Wednesday each week. In the fair, early in the morning, people from villages come to the market sequentially. They go into each group, in pairs and one by one. 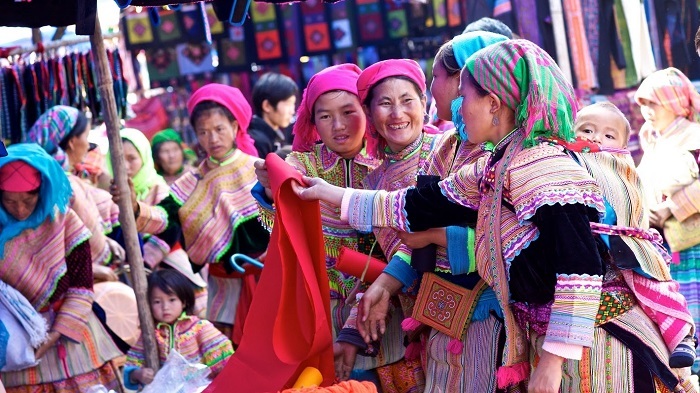 People use horses to pack the goods or use motorbike, bike… The girls of H’Mong and Dao wear pretty dress with delicate flowers, bright colors, which creates the charming picture. Cao Son Market is more beautiful by people, goods and natural landscapes. In the vast space of mountains and forests, people are carefree, buying, selling and exchanging goods with each other. Like some other fairs, Cao Son market is divided into several zones. The item with flavor of mountains such as: vegetables, herbs, mushrooms, black mushrooms, honey, corn, house wares, jewelry… that gather into one area, arrange type of goods. Especially, tourists can see the range of brocade with vivid patterns. 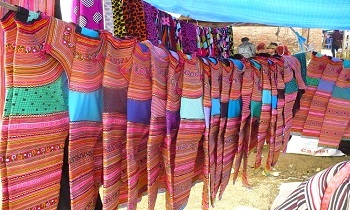 These products show ingenious talent of the H’Mong, Phu La and Dao women. Visitors will easily be overwhelmed by some cuisines such as flavors of buffalo meat, horse meat and beef of the H’Mong. 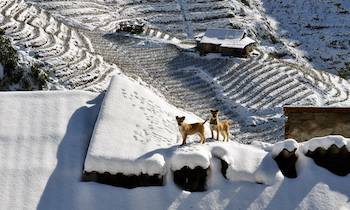 Moreover, tourists will enjoy Coc Dam, Coc Ngu wine. In the bustling atmosphere, visitors will have to sit and enjoy the ethnic cuisine of them. 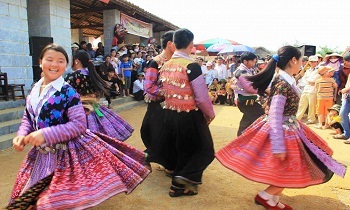 Coming to Cao Son, you will have opportunities to enjoy the cultural interference of some ethnic groups living along the Chay River. Tourists can visit Cao Son market without entrance fee. You can take photos if you want. 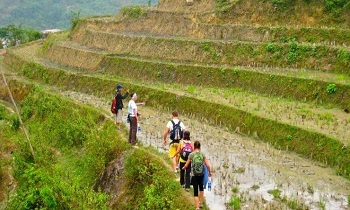 Let's join Sapa hiking tours to have chance to explore this colorful market.